Triple point: The combination of the temperature and the pressure at which the three phases (gas, liquid, and solid) of a substance coexist in thermodynamic equilibrium. 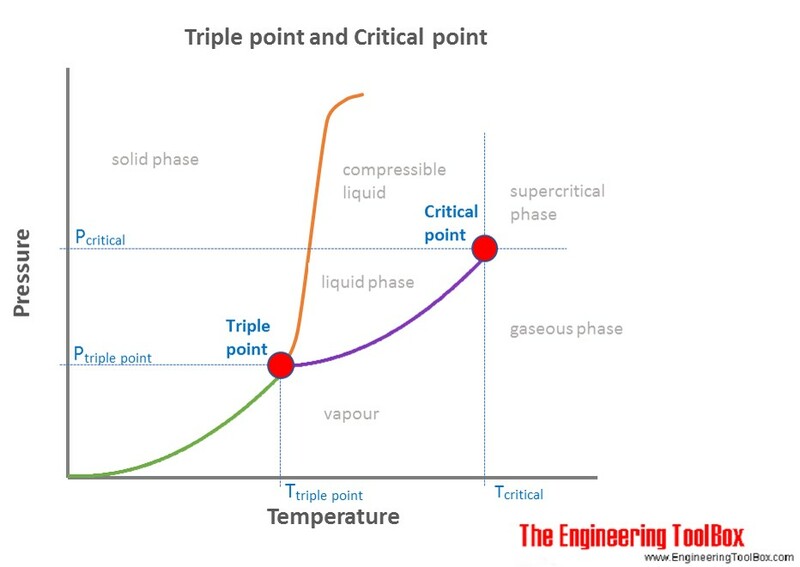 The triple point is not the same as the critical point. Engineering ToolBox, (2016). Triple Point. [online] Available at: https://www.engineeringtoolbox.com/triple-point-d_1926.html [Accessed Day Mo. Year].